The musical episode of Raven’s Home was one of the most fun television episodes ever and we can’t wait to watch it again tonight! 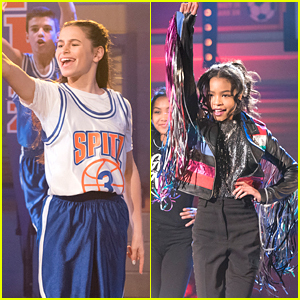 Disney Channel will be airing a special dance along edition of the episode TONIGHT, Thursday, October 18th – and to celebrate, JJJ caught up with the cast to chat about their fave parts of the episode, favorite songs and more. “Raven’s Home: Remix” is also available to watch on DisneyNOW app and Disney VOD. Click inside our slideshow now! 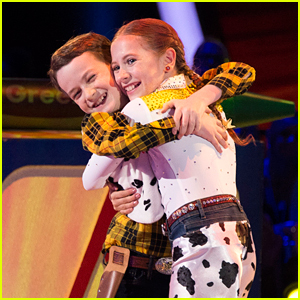 Jason Maybaum was having so much fun on the dance floor on the premiere of Dancing With The Stars Juniors tonight (October 7)! The 10-year-old Raven’s Home star is partnered up with Elliana Walmsley, and they delivered such a fun cha cha, set to “Bills” by Lunchmoney Lewis. Mentored by Emma Slater, Jason and Elliana picked up 18 points out of 30 for their first ever performance.